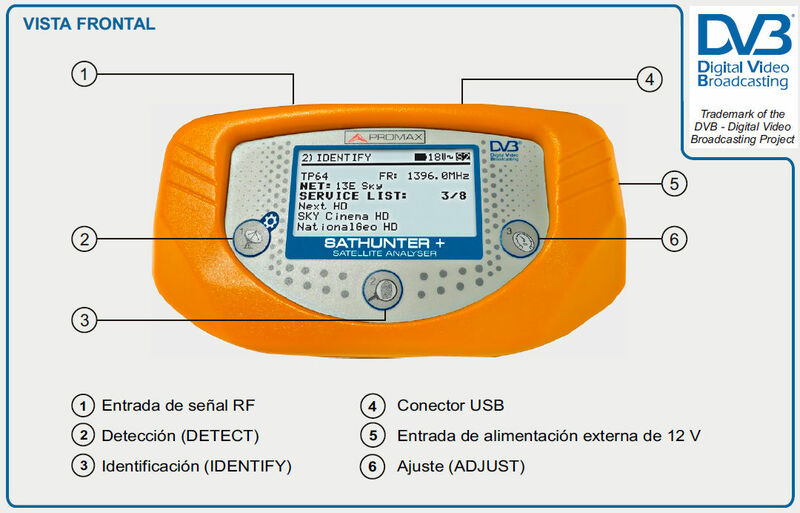 Small, handheld easy to use meter designed for the installation of Direct To Home (DVB-S/S2) satellite reception systems. 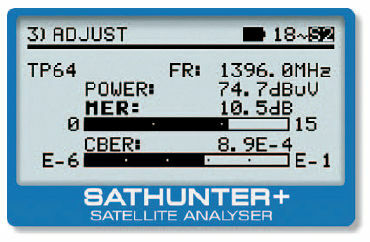 The SATHUNTER+ is an instrument designed for the installation of Direct To Home (DVB-S/S2 and DSS) satellite reception systems. It is fully automatic and very easy to use. 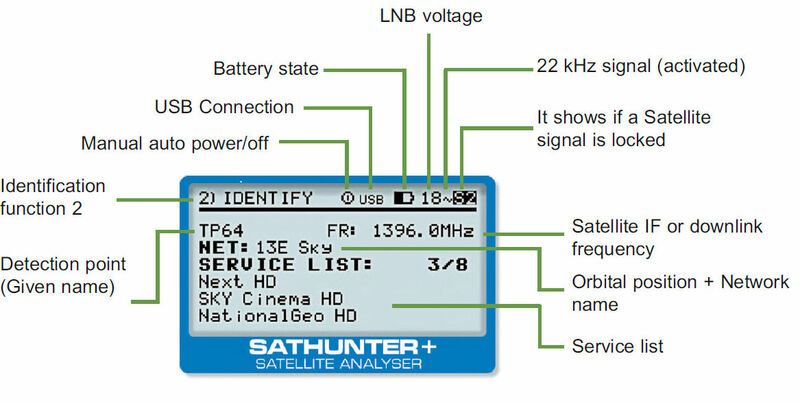 Just turn the dish and the instrument will show up the identification of the selected satellite when it is detected. The instrument is actually reading the information transmitted by the satellite and displays its orbital position and the service list. It detects signal from any analogue or digital satellite thanks to the built-in wide band detector. 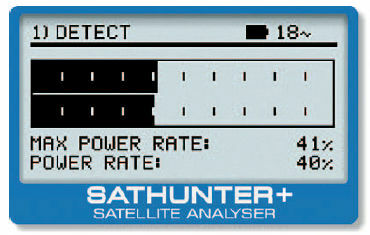 In this mode the meter behaves like a satfinder and shows information about the received signal power in the form of two graphic bars with two different time constants and an audible indicator. Once a satellite signal has been found it is possible to confirm with no possibility of error if the received satellite corresponds to the one desired. To do that the SATHUNTER+ reads information from the tranport stream tables at the preprogrammed test frequencies. It allows to make proper digital measurements such as channel power, MER or CBER. All information is displayed on the screen in a very convenient way so that optimising dish alignment becomes really easy. MER and CBER in particular are shown in numbers and a graphic bar as well.